Provision is multi-faceted. In his “Stepping Up” study, Dennis Rainey references Stu Weber’s description of a provider. Reflecting on the old television series, Wagon Train, Stu wrote of how the scout, Flint McCullough “always rode miles out in front of that long, ponderous caravan. He was the first to smell danger, dodge the arrows, hear the muted thunder of faraway buffalo herds, and taste the bite of distant blizzards. It was up to him to spot potential hazards, discern lurking enemies, and pick out the best and safest trail for the train to follow.” The scout provided guidance through the dangers of the unknown just as a dad is to provide guidance through the noise of the world. 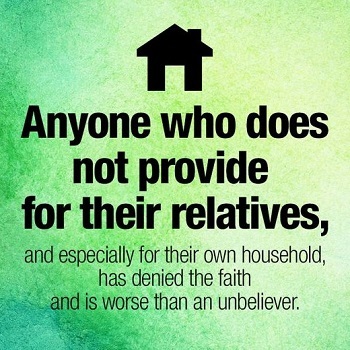 If anyone does not provide for his relatives, and especially for his immediate family, he has denied the faith and is worse than an unbeliever. – 1Timothy 5:8. Paul makes the point very clear, a man is to provide for his family. For years, I used this verse to justify an idol, the almighty dollar. Providing financially for the family is an important dimension of provision but it is not the only dimension. “You shall love the Lord your God with all your heart and with all your soul and with all your might. These words, which I am commanding you today, shall be on your heart. You shall teach them diligently to your sons …” (Deut.6:5-7). Certainly, every dad is to provide a roof to live under, food on the table and clothes to wear but he is also called to live under relationship with the Father, provide spiritual food through the word of God and clothe his family with the Holy Spirit. Providing financially to meet the family’s needs, not necessarily all the ‘wants’. Prayer guide: Thank You Lord for the wife and children You have blessed me with. The responsibility to provide for my family has been overwhelming in my own strength. I have allowed a secular worldview to invade my home and in general, have been passive as the scout my family needs. Forgive me. Lord, I do love You with all my heart, soul and might. Grant me strength to be the provider You call me to be – to personify my love for You in marriage, instill a Biblical worldview in the home and step up as Your representative in family. Through Your walk to the cross, resurrection and ascension You have provided eternal life. Help me keep that priority One in my role as provider in family. Thank You Jesus. Amen. A faithful father provides well for his family spiritually, emotionally and physically.